Bollywood movies or Hindi movies are our all-time entertainment resort. We have picked the best Bollywood movies from different genres. Be it new, old, funny, thriller or emotional, we have included every best movie which has touched the hearts of a million people. The best script, direction and actors have made these movies immortal. Make sure you haven’t missed any of these. Even if you don’t like a particular genre try watching these movies and these might even change your perception while entertaining you in the best way possible. This entertaining flick has become a cult movie now. It has some hilarious scenes where the two main characters amar and prem (aamir khan and salman khan) make us laugh a lot. The plot is entertaining too full of confusions and stupidity. The comic timings of the actors is commendable. It has talented star cast including Paresh Rawal, Karishma Kapoor, Raveena Tandon and Shakti Kapoor. This classic movie starring Rajesh Khanna and Amitabh Bachchan gave us the most beautiful message that lives your life happily no matter what. The main character played by Rajesh Khanna is so cheerful and just puts anyone in a happy mood throughout the picture. The famous dialogue of this movie-’babumoshai, zindagi badi honi chahiye lambi nahi’ is the core message around which the plot has been designed. You must be a fan of thriller movies from the best Hollywood movies collection but you should definitely watch this movie to see some great cinema. 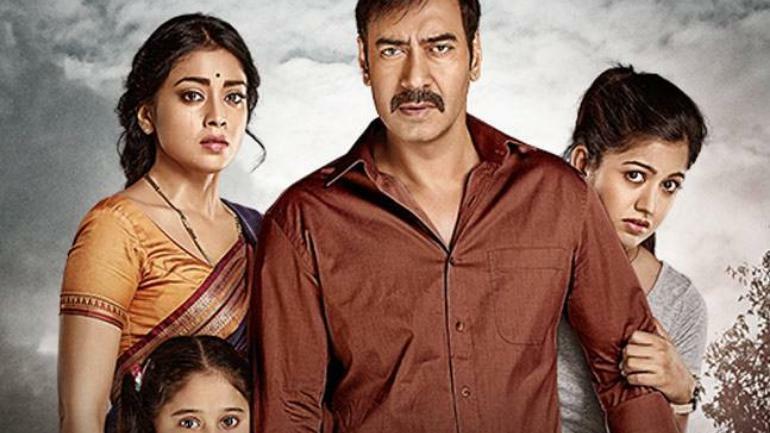 This movie was the best thriller movie of 2018 which attracted not only Indian but international audience. The confusion and mystery of the blind character intrigue the audience throughout. Full of greedy characters, this movie showcases some bitter sides of life but keeps you entertained and involved throughout. This movie directed by Rajkumar Hirani got immense love of the audience and was worthy of it in all aspects. There are only a few movies which teaches you something about life or give you something to take back home and this movie is one of them. It also has some funny scenes where the friendship bond among college students is depicted with utmost innocence and love. This movie is based on civilians angry reactions towards terrorism. It shows the intelligence and patriotism of a civilian who just cannot take the ruins and fear of terrorism anymore and plans a busy Wednesday for the police which leads us to a surprising climax. Watch the movie to see how a single man plans and does all of this single-handedly. Directed by Zoya Akhtar, this movie stars Hrithik Roshan, Farhan Akhtar, Katrina Kaif, Abhay Deol and Kalki. A bachelor trip takes the three main characters on an exciting journey where they relive some old memories and strengthen their bond of friendship. This trip brings a big change in everyone’s lives and keeps the audience involved throughout. Not to forget, the movie has been shot in some amazing locations! Kangana Ranaut who plays the character of Rani in this movie has given her best performance in this movie. Once her fiance breaks the marriage, Rani goes on her honeymoon alone and makes it worthwhile. She leaves India while feeling heartbroken and diffident while she returns with a lot more confidence and content. Watch her journey from a reserved girl to a free spirit. This movie was a remake of a south movie and the story is so intriguing that it should be told in every language. A family tries to save itself from an accidental murder committed by them by creating false witnesses so smartly that even the police finds it hard to charge them as guilty. Till the climax, you will feel engaged and curious to find out what happens. Anurag Basu has gifted Bollywood with such a sweet and innocent movie through the two disabled characters of Priyanka and Ranbir. This movie is so beautiful that it will transport into another world where you will feel so connected with the main characters. Ileana also looks beautiful and has played her part really well. This period drama by Sanjay Leela Bhansali has recreated a time gone in past in the most beautiful way. The characters are so brave, realistic and powerful that you will be awestruck throughout the movie. It has some great dialogues, beautiful sets and costumes and energetic songs. It depicts the Indian custom in such a beautiful way that you will admire it even more.